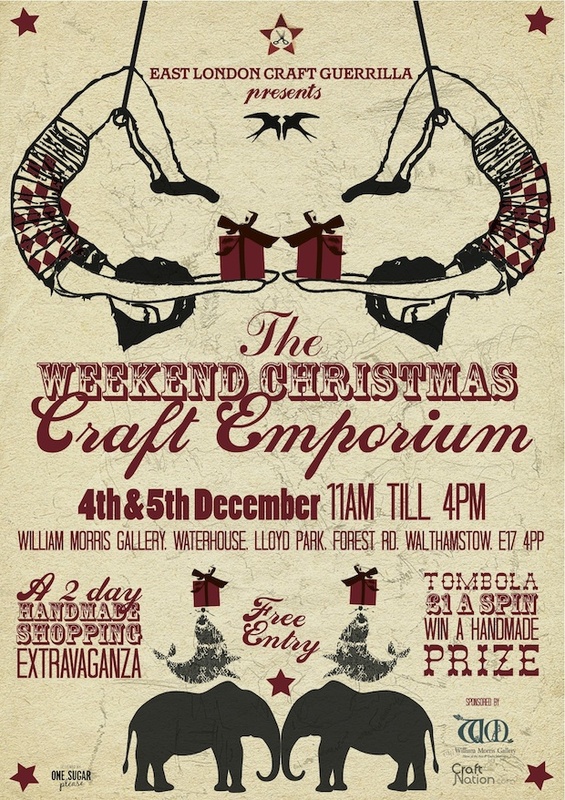 The Weekend Christmas Craft Emporium! We love this fair! And who wouldn’t? Last year I had my table in a room surrounded by the Pre-Raphaelite collection of Rosetti, Burne-Jones and Rodin’s work! The fair is on for two days, each day with a different selection of very talented designer makers. EdwynUK will be there on the SUNDAY only. The William Morris Gallery is the only public museum devoted to William Morris,one of the founding fathers of the Arts and Craft Movement in Great Britain and has recently been awarded funds for developing the museum which is great news! The Gallery’s collections illustrate Morris’ life, work and influence. There are permanent displays of printed, woven and embroidered fabrics, rugs, carpets, wallpapers, furniture, stained glass and painted tiles designed by Morris himself and by Edward Burne-Jones, Philip Webb, Dante Gabriel Rossetti, Ford Madox Brown, and others who together founded the firm of Morris, Marshall, Faulkner & Company in 1861. So to be exhibiting amongst such venerable company is an honour, and if you have never been before, it is well worth a visit. Plus across the road from the museum is Ruby Road, at the top of which is Ruby Road Stables, well a visit for vintage furniture, odds and sods and lovely plants and flowers….. So wrap up warm and come on down! ← Draught Excluder’s to Keep the Warm in and the Cold Out!